If I had to stock Hillary Clinton's new memoir in a bookstore, I'd be tempted to place it in a section on self-help or bereavement. What Happened was quickly strip-mined for political nuggets after its publication last Tuesday. As I went through it over the weekend, though, what struck me most was how the wounded Democrat coped after her crushing defeat last November. In short, Clinton has read voraciously and eclectically – for escape, for solace and for answers. The collection of works that she cites across 494 pages showcases a top-flight intellect and would make for a compelling graduate school seminar. "Friends advised me on the power of Xanax and raved about their amazing therapists," writes Clinton, 69. "But that wasn't for me. … Instead, I did yoga. … I also drank my share of chardonnay. … [And] I tried to lose myself in books." Parts of What Happened remind me of Joan Didion's The Year of Magical Thinking, Sheryl Sandberg's Option B and even Elizabeth Gilbert's Eat, Pray, Love. Blowing an election that she was confident she'd win – thereby allowing Donald Trump to become president – represented a humiliating, degrading and very public loss for the former secretary of state. Yes, the book oozes with the sort of Clintonian grievance Americans have grown accustomed to – and exhausted by – over the past quarter-century. Her finger pointing, from Bernie Sanders and Jill Stein to James Comey, Julian Assange, and even Matt Lauer, has been well-documented by now. But her account is also rawer, and thus better, than we expected. Clinton is much harder on herself than the mainstream media's coverage of her rollout has given her credit for. She confesses that she's wrestled with why she lost every single day since Nov. 8. "Sometimes it's hard to focus on anything else," Clinton writes. "I do sometimes lie awake at night thinking about how we closed the campaign. . ."
At first, Clinton turned to mystery novels in a bid to get the election results off her mind. She inherited her love for this genre from her mother, and she'd plow through a full book in a single sitting. "Some of recent favorites are by Louise Penny, Jacqueline Winspear, Donna Leon, and Charles Todd," Clinton writes. "I finished reading Elena Ferrante's four Neapolitan novels and relished the story they tell about friendship among women." Just as if she lost her appetite for a time, the biographies of former presidents that weigh down the bookshelves at her home in Chappaqua, New York, held no appeal. To keep her failure in perspective, Clinton thought instead about how good she still has it compared to Fantine in Victor Hugo's Les Miserables. She resolved that she does not want to spend the rest of her life like Miss Havisham from Charles Dickens's Great Expectations, stirring around her house stewing. She went back to stuff that has given her joy or comfort in the past, including poetry by Maya Angelou, Marge Piercy and T.S. Eliot. She reread one of her favorite books, The Return of the Prodigal Son by the Dutch priest Henri Nouwen. "It's something I've gone back to repeatedly during difficult times in my life," she writes. "Maybe it's because I'm the oldest in our family and something of a Girl Scout, but I've always identified with the older brother in the parable. . . . It's a story about unconditional love – the love of a father, and also The Father, who is always ready to love us, no matter how often we stumble and fall." Clinton's flinty father always told her that he'd love her unconditionally. As a little girl, she'd ask him if he'd still love her even if she robbed a bank. Or murdered somebody. Absolutely, he'd tell her. "Once or twice last November," she recalls, "I thought to myself, 'Well, Dad, what if I lose an election I should have won and let an unqualified bully become President of the United States? Would you still love me then?'" Nouwen was inspired to write his 1992 book by observing the Rembrandt painting that depicts the scene when the prodigal son comes home. "I can choose to be grateful even when my emotions and feelings are still steeped in hurt and resentment," the Catholic priest wrote. "I can choose to speak about goodness and beauty even when my inner eye still looks for someone to accuse or something to call ugly. I can choose to listen to the voices that forgive and to look at the faces that smile even while I still hear words of revenge and see grimaces of hatred." Reading this again and again offered Clinton a reminder about the importance of being grateful even when things aren't going well. Thinking about the process of mourning, Clinton looked to another book by Nouwen called Bread for the Journey. In it, he writes: "To console does not mean to take away the pain but rather to be there and say, 'You are not alone, I am with you. Together we can carry the burden. Don't be afraid. I am here.' That is consolation. We all need to give it as well as to receive it." A few weeks after the election, Clinton picked up a copy of a sermon called "You Are Accepted" by the Christian theologian Paul Tillich. She remembered sitting in a church basement in Park Ridge, Illinois, decades ago as her youth minister, Don Jones, read it aloud. "Years later, when my marriage was in crisis, I called Don. Read Tillich, he said. I did. It helped," Clinton recounts. "Now I was sixty-nine and reading Tillich again. There was more here than I remembered." "God strikes us when we are in great pain and restless," the sermon says. "Sometimes at that moment, a wave of light breaks into our darkness, and it is as though a voice were saying: 'You are accepted.'" She was also moved by the TED Talk that Pope Francis delivered this April, in which he called for "a revolution of tenderness." "What a phrase!" writes Clinton. 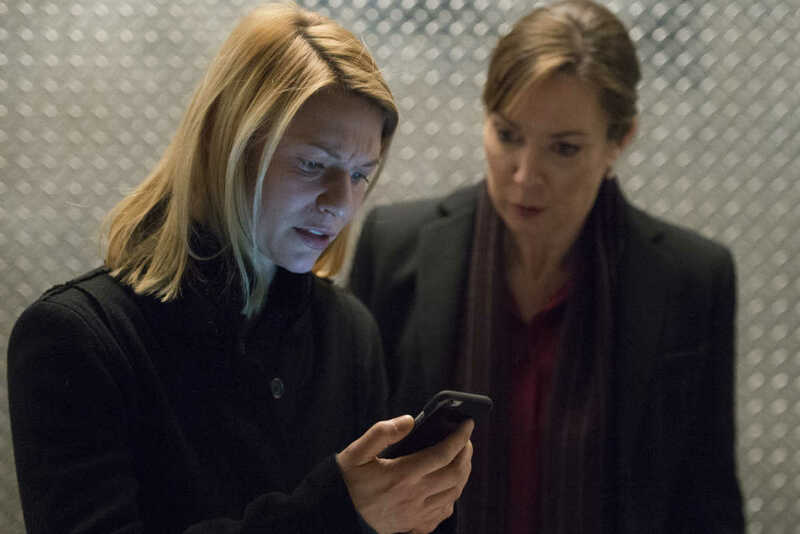 Claire Danes as Carrie Mathison and Elizabeth Keane in "Homeland." Between long walks in the woods, Clinton kept devouring books. She started looking for answers to the question that animates her book: What happened? Clinton first refers to the book What's the Matter with Kansas? : "After John Kerry lost to George W. Bush in 2004, the writer Thomas Frank popularized the theory that Republicans persuaded whites . . . to vote against their economic interests by appealing to them on cultural issues – in other words, 'gays, guns and God.' There's definitely merit in that explanation." She then cites Hillbilly Elegy, which remains near the top of bestseller lists: "Anger and resentment do run deep. As Appalachian natives such as J.D. Vance have pointed out, a culture of grievance, victimhood and scapegoating have taken root as traditional values of self-reliance and hard work have withered. There's a tendency toward seeing every problem as someone else's fault, whether it's Obama . . . undocumented immigrants . . . or me." Clinton notes (correctly) that the breakdown in civil society is a long-term trend that predates Trump and cites Robert Putnam's Bowling Alone, a classic of this genre. The Harvard professor's title alludes to declining membership in bowling leagues, which illustrates how people are growing apart and becoming less social. Putnam's 2000 book was based on a 1995 article, but the problems he identifies have only gotten worse in the years since. Hillary insists that she was not blind to the anger that existed in the Rust Belt before the election results came in. During the campaign, she writes that she and her husband Bill both read The True Believer, the 1951 classic by Eric Hofer about the psychology behind fanaticism and mass movements. She says she even told her senior staff that they should read it too. Clinton says her most profound post-election insights about her struggles with working-class whites came when she went back to Democracy in America. She was first exposed to Alexis de Tocqueville's book in an undergraduate political science class. The Frenchman traveled across the nascent country in the 1830s, marveling at the degree of social equality and economic mobility here compared to Europe. As first lady, Clinton leaned on "Democracy in America" to make the case in "It Takes a Village" that our national character has always been imbued with a belief that our own self-interest is advanced by helping one another. After losing a national campaign, she zeroed in on another theme of de Tocqueville's narrative. "After studying the French Revolution, he wrote that revolts tend to start not in places where conditions are worst, but in places where expectations are most unmet," Clinton explains. "So if you've been raised to believe that your life will unfold a certain way-say, with a steady union job that doesn't require a college degree but does provide a middle-class income, with traditional gender roles intact and everyone speaking English-and then things don't work out the way you expected, that's when you get angry. . . . Too many people feel alienated from one another and from any sense of belonging or higher purpose. Anger and resentment fill that void and can overwhelm everything else." Clinton is honest in the book that she's routinely had to fake a smile since November. More than two dozen women, mostly in their 20s, have approached her to apologize for not voting for her. One time an older woman dragged her adult daughter and ordered her to apologize to Clinton's face. "I wanted to stare right in her eyes and say, 'You didn't vote? How could you not vote?! You abdicated your responsibility as a citizen at the worst possible time! And now you want me to make you feel better?' " Clinton recalled. "Of course, I didn't say any of that! These people were looking for absolution that I just couldn't give." Often Clinton wound up doing the comforting, rather than being comforted. "It'll be OK, but right now it's really hard" was her go-to line when people asked how she was getting along. If she was feeling defiant, she'd respond: "Bloody, but unbowed." That's a phrase from "Invictus," a poem by the 19th century English poet William Ernest Henley. It's no coincidence that it was also one of Nelson Mandela's favorites. "My mistakes burn me up inside," Clinton writes. "But as one of my favorite poets, Mary Oliver, says, while our mistakes make us want to cry, the world doesn't need more of that. The truth is, everyone's flawed." The coverage that greeted Trump's 100th day as president was painful because it prompted Clinton to think about what the stories would have said about her. "A haunting line from the nineteenth-century poet John Greenleaf Whittier comes to mind," she adds. "For all sad words of tongue and pen, the saddest are these: 'It might have been.'" In March, Clinton turned to Eleanor Roosevelt for inspiration. She made a "pilgrimage" with a handful of girlfriends to Hyde Park, New York, to see Val-Kill, which was the former first lady's private cottage. This is where she went to think and write. Hillary looked at Eleanor's favorite books on a shelf, and then a historian escorting her group around shared copies of some of her letters. "Reading the mix of adoring fan mail and nasty, cutting diatribes was a reminder of the love-hate whiplash that women who challenge society's expectations and live their lives in the public eye often receive," Clinton writes. Clinton acknowledges suffering bouts of self-doubt that cause her to re-litigate decisions that she made during the heat of the campaign. "I have a new appreciation for the galvanizing power of big, simple ideas," she writes. "It's easy to ridicule ideas that 'fit on a bumper sticker,' but there's a reason campaigns use bumper stickers: they work. . . . In my introspective moments, I do recognize that my campaign in 2016 lacked the sense of urgency and passion that I remember from '92." Before she announced her candidacy in 2015, Bill and Hillary both read a book called With Liberty and Dividends for All: How to Save Our Middle Class When Jobs Don't Pay Enough. Peter Barnes makes the case for a new fund that would use revenue from natural resources to pay an annual dividend for every American. The idea is inspired by the Alaska Permanent Fund, which distributes the state's oil royalties to citizens of the state every year. It would theoretically ensure that everyone received a modest basic income every year. This fascinated the Clintons, and they spent weeks excitedly exploring it. They wanted to call it "Alaska for America." Ultimately, Hillary shelved the plan after concluding that the numbers did not really add up. Looking back, she thinks maybe she should have just embraced it anyway. "To provide a meaningful dividend each year to every citizen, you'd have to raise enormous sums of money, and that would either mean a lot of new taxes or cannibalizing other important programs," she writes. "I wonder now whether we should have thrown caution to the wind and embraced 'Alaska for America' as a long-term goal and figured out the details later." Bigger picture, Clinton complains that Bernie put her in a tough spot by running on the kind of pipe dreams that made "Alaska for America" look pragmatic. "No matter how bold and progressive my policy proposals were – and they were significantly bolder and more progressive than anything President Obama or I had proposed in 2008 – Bernie would come out with something even bigger, loftier, and leftier," Clinton fumes. "That left me to play the unenviable role of spoilsport schoolmarm, pointing out that there was no way Bernie could keep his promises or deliver real results." As the months wore on, Clinton focused increasingly on the role that she could play in the so-called Resistance movement. She decries the emergence of "alternative facts," a term popularized by White House counselor Kellyanne Conway. "Attempting to define reality is a core feature of authoritarianism," Clinton writes. "This is what happens in George Orwell's classic novel Nineteen Eighty-Four, when a torturer holds up four fingers and delivers electric shocks until his prisoner sees five fingers as ordered. The goal is to make you question logic and reason and to sow mistrust toward exactly the people we need to rely on: our leaders, the press, experts who seek to guide public policy based on evidence, ourselves. For Trump, as with so much he does, it's about simple dominance." "On Tyranny: Twenty Lessons from the Twentieth Century," the thin volume by Yale history professor Timothy Snyder, has been especially popular in elite circles this year. This quote from the book resonated the most with HRC: "To abandon facts is to abandon freedom. If nothing is true, then no one can criticize power, because there is no basis upon which to do so. If nothing is true, then all is spectacle." Writing about sitting through Trump's inauguration, Clinton laments: "We were in a 'brave new world.'" A few months later, looking for inspiration as she prepared to deliver the commencement address at Wellesley College, her alma mater, Clinton reread Vaclav Havel's The Power of the Powerless. Under the yoke of Soviet oppression, the dissident who would become the first president of the Czech Republic wrote an essay in 1978 about the ability of individuals to wield the truth like a weapon against the regime's "thick crust of lies." "The moment someone breaks through in one place, when one person cries out, 'The emperor is naked!' – when a single person breaks the rules of the game, thus exposing it as a game – everything suddenly appears in another light," Havel wrote. Clinton muses: "Havel understood that authoritarians who rely on lies to control their people are fundamentally not that different from neighborhood bullies. . . . This felt like the right message for 2017." The cosmopolitan Clinton quotes a diverse range of other international voices in the book, including Lebanese writer Kahlil Gibran, Nigerian author Chimamanda Ngozi Adichie, Austrian novelist Rainer Maria Rilke, Irish playwright George Bernard Shaw and German philosopher Friedrich Nietzsche. To be sure, Clinton has also watched a lot of television since November. The weekend after the election, she turned on Saturday Night Live and fought back tears as she watched Kate McKinnon – in character as her – perform Leonard Cohen's "Hallelujah." She binge-watched old episodes of The Good Wife, Madam Secretary and Blue Bloods. She caught up on NCIS: Los Angeles, which Bill thinks is the best in the CBS franchise. One day, she even watched a video of one of her three debates against Trump. When the sound was off, Clinton realized that "between his theatrical arm waving and face making and his sheer size and aggressiveness, I watched him a lot more than I watched me." "I'm guessing a lot of voters did the same thing," she laments. The Washington Post's Breanne Deppisch and Joanie Greve contributed.